Our BA in Creative and Professional Writing is a safe haven where developing writers can learn in a supportive, workshop-based environment that includes an emphasis on spiritual and personal growth. In our program, you’ll do more than author great writing pieces—you’ll become the author of your own self. Areas of study include journalism, photojournalism, screenwriting, travel writing, creative writing, writing for the web, creating graphic novels, publishing e-books, and social media marketing. Our program is founded on the idea that creativity is not meant to be a struggle, but instead a fun and rewarding process. At MUM, you’ll take only one full-time class a month, giving you the opportunity to fully immerse yourself in the knowledge without the stress of balancing multiple courses and exams. 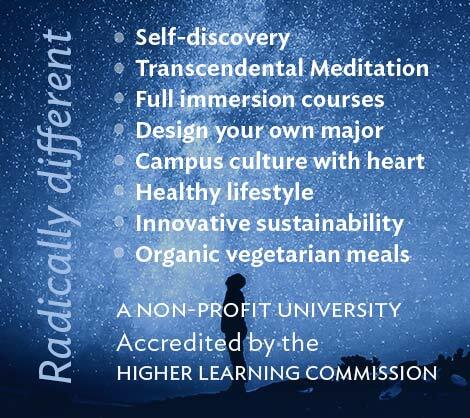 In every class, we offer our students tools and techniques to awaken creativity in authentic ways that deeply engage mind, heart, and soul without the stress typical of a college degree program. As an MUM student, you’ll practice the Transcendental Meditation (TM) technique daily. TM has been scientifically proven to lower stress, enhance brain functioning, and increase creativity. 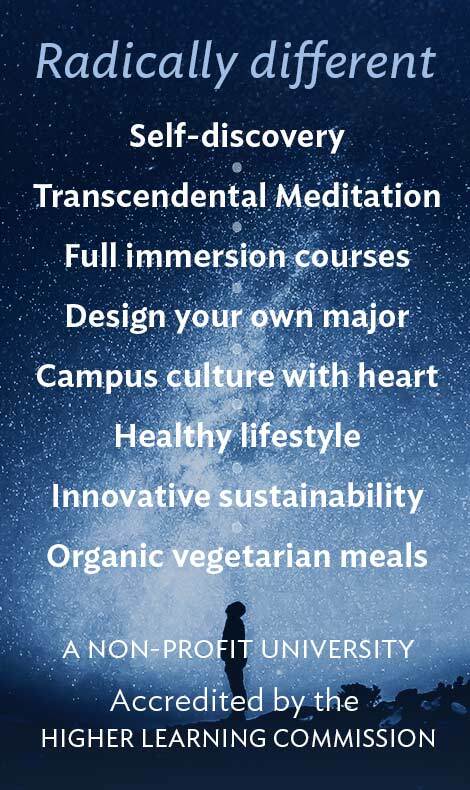 In addition, you’ll follow a healthy daily routine, enjoy your own space in a single dorm room, eat at our organic, vegetarian dining hall. Our small, close-knit classes make sharing your work with your peers a safe and rewarding experience. You’ll receive friendly feedback that furthers your development as a writer, learn how to confidently produce original work, and create lasting connections with your peers and faculty. 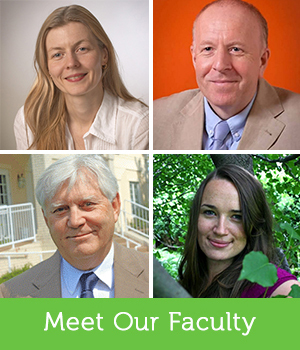 Our faculty will help you to build on your natural writing strengths and create a sustainable writing routine. Our low student-to-faculty ratio means that your teachers have the time to fully support your creative endeavors and help you to become the best writer that you can be. Every MUM student has the opportunity to connect with the thriving writing community of Fairfield, Iowa—home to slam poetry shows, literary journals, and local writing collectives and classes, as well as individuals from all over the world who will support you on your creative journey. Leah Waller is an Assistant Professor of creative writing and the director of the University Writing Center here at MUM. Leah’s work has been published in literary journals, magazines, newspapers, and anthologies. Her book, Under the Cedar Tree, had a soaring debut in Amazon’s top ten best seller list for poetry, and continues to be a popular favorite among reading circles. Leah received her bachelors in literature at MUM and went on to achieve a Masters of Fine Arts in creative writing from Northern Arizona University. 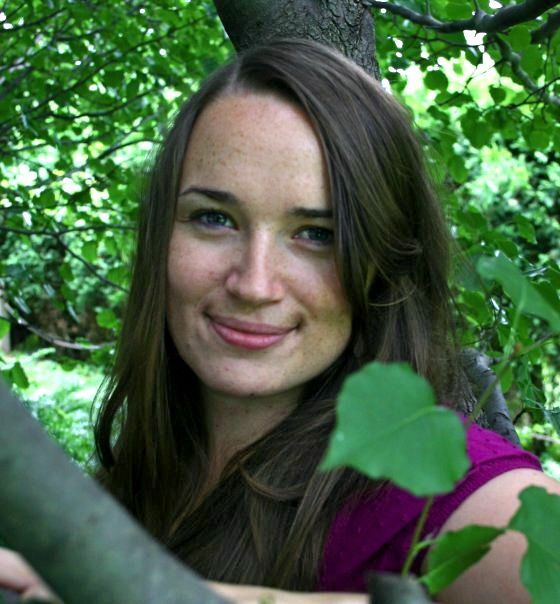 At NAU, Leah worked as the Assistant Managing Editor for Thin Air Magazine, and an instructor of composition writing. For information on the cost of our degree programs, visit our Financial Aid Calculator here.